Tip $50 and get A 45 min Skype lesson. the-fish-heads: Can you play Come Hither to Go Yonder, Bill Monroe...purdy please. mandolinsandbeer: Rawhide 6 weeks after cutting your thumb off??? Jeez!! Incredible job!! Facilitator: Awesome talent, great duo palying! Facilitator: Still here! Great save, Victoria. cobbyfan1: Keep these shows comin! I'm so glad Jesse has gotten on Concert Window. He rarely tours though the south and it's so nice to have the opportunity to see and hear him perform. Great job Jesse! Loved the show and appreciated the skill that Jesse displayed. JEsse is a superb mandolinist but he needed a guitar to accompany him. A signed copy of Solitude. A common tune of your choice recorded on video. A 45 min Skype lesson. Tablature and a slow (and up to speed) recording of any tune I've recorded. 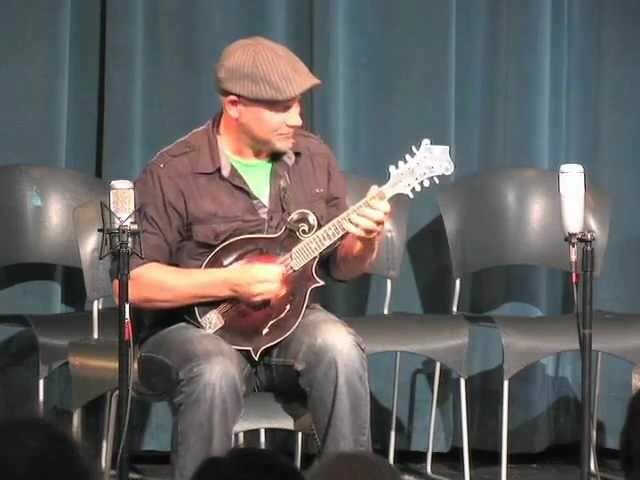 Jesse Cobb is a sought after mandolinist known for his strong rhythmic presence and lyrical leads. Jesse has toured extensively in the US and Europe, taught at major festivals and camps, and as a member of “The Infamous Stringdusters”, has won awards and accolades from the Bluegrass and Americana communities including a Grammy nomination for the band in 2011. Jesse works as a freelance musician as well as performing as “The Cobb Brothers Duo” with Shad Cobb. Please visit: mandocobb.com for dates and more info.